Edinburgh is the capital of Scotland, and a vibrant city full of culture, history, and beautiful landscapes. Edinburgh has been an important city for centuries, with a focus on education and art. Today, it is home to 500,000 people and a number of cultural events including the Edinburgh Fringe and Edinburgh Festival. The city has a relaxed but lively vibe, with something new and exciting happening every week. Edinburgh is the perfect gateway city into Scotland and Scottish culture. Here are some of the best things to do in this beautiful, calm, and active city. Edinburgh Castle is a key component of the city’s skyline. The castle sits atop a tall rock, making it visible from many parts of the city. The site has been used since the 2nd century as its position is a perfect defensive location. For centuries, the castle has been seen as the ‘key to the city’ – controlling the castle meant controlling Edinburgh. The castle has housed important figures in Scottish history, including Mary Queen of Scots and Bonnie Prince Charlie. 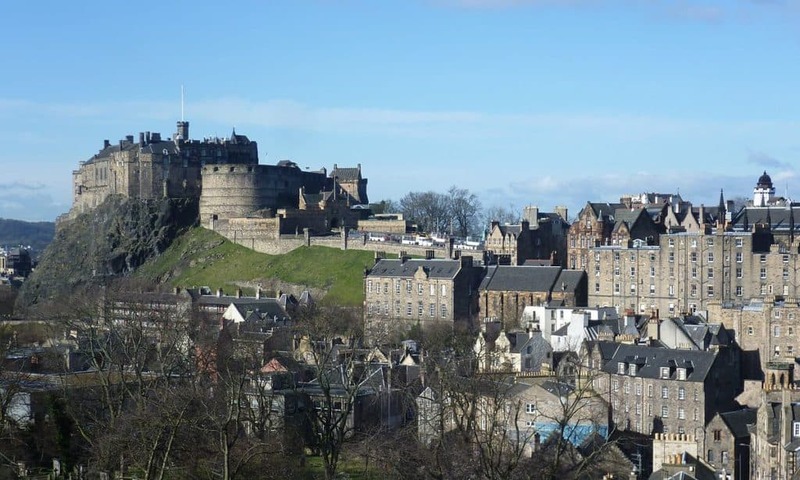 Pay a visit to Edinburgh Castle to gain an insight into historic life in the castle. On display are the crown jewels of Scotland, as well as the Stone of Destiny which has been used in the coronation of British monarchs for centuries. Be sure to stick around for the firing of the One O’Clock Gun, which has been fired every day except Sundays since 1861. One of the first places you will visit after arriving in Edinburgh is the historic Princes Street. This main thoroughfare has been the heart of the city since 1770, and is now one of Edinburgh’s most popular retail hubs. Visit Princes Street for a spot of shopping – you’ll find all the big high street stores along this road. Princes Street is also a wonderful location for history, with a number of key landmarks nearby. Here you will find gorgeous views of Edinburgh Castle, a number of galleries, and the Scott Monument, making it ideal for photography. After shopping or snapping, take a break in the Princes Street Gardens, which feature a beautiful floral clock, a war memorial, and lovely green lawns that are perfect for a picnic. Holyrood Palace is the Scottish residence of the British monarchy, located near Edinburgh Castle. The palace was built in 1678 and has housed generations of kings and queens. Today, much of the historic palace has been preserved in order to showcase royal life in the 17th century. Explore Mary Queen of Scots’ chambers which includes a room where her secretary was murdered by her husband in 1566. For some art and a view into regal responsibilities, stop by the State Apartments which feature fine art and are still used today by the British Royal Family. Finish your trip with a rest at the palace café to enjoy a classic afternoon tea in an extravagant setting. Opened in 1835, Camera Obscura is Edinburgh’s oldest tourist attraction. The gallery focusses on visual illusions, featuring a number of experiences and hands-on activities to explore and enjoy. On site, you will find a mirror maze, an Ames room which will appear to shrink around you, and a vortex tunnel which will provoke a sense of imbalance even though you are completely stable! Climb to the roof to see the city from an excellent vantage point, with free telescopes available for close-up views. Camera Obscura provides a fun and family-friendly way to spend a day, tricking your brain and experiencing all sorts of unique sensations. For outdoors enthusiasts, Arthur’s Seat is a must-visit. Arthur’s Seat is a dormant volcano and one of the highest points in Edinburgh. Hike to the top for breath-taking views of the city and a touch of wild nature in the heart of Edinburgh. Here you will also find a hill fort, dating from around 600 A.D. although there are remains of older structures nearby dating from 2 A.D. In mythology, Arthur’s Seat is considered to be a possible location for Camelot, the legendary castle of King Arthur. Arthur’s Seat is a dramatic and historical place, and the perfect starting point to explore the nearby hills around Holyrood Park. Mary King’s Close is part of Edinburgh’s Old Town, which consisted of a number of winding and narrow alleyways called ‘closes’. Today, Mary King’s Close is a warren of underground passages and streets, having partially collapsed centuries ago. Book a tour with The Real Mary King’s Close to explore the fascinating history of this once-bustling Edinburgh street. Learn about life in the closes, as well as the rumours of hauntings and gristly murders that have sprouted since the collapse of the close. The close has been well-preserved so that its history is visible in every inch of every street. Tour guides are even costumed to provide an immersive and interesting experience. This is a great way to learn about life in old Edinburgh. St Giles’ Cathedral is the principal church in Edinburgh and a key feature of the city’s skyline. It was built in the 14th century and showcases a distinctive gothic-style architecture that is commonly found in Edinburgh. The cathedral is home to a number of memorials for Scottish people of note, as well as beautiful stained glass windows. The church holds original bells dating from the 15th century, as well as the King’s Pillar. The Pillar bears the coats of arms and medieval shields of ancient British kings. Be sure to stop by the Thistle Chapel which commemorates the Order of the Thistle, a group of 17th century knights who protected Scotland. The chapel features stunning architecture and beautiful archways. St Giles’ Cathedral is a focal point of the city and a wonderful place to learn about Edinburgh’s history and ancient culture. The Scottish National Gallery is Scotland’s national art gallery, making it a must-see for visitors to Edinburgh. The building was opened in 1859 and features beautiful neoclassical architecture, the perfect setting for the rich collections of fine art housed within. Located in the heart of the city, the National Gallery features work by Van Dyck, Gainsborough and Rubens. One of the highlights is the collection of pieces by Scottish artists, featuring unforgettable landscapes, portraits and scenes of everyday life by artists such as Peter Graham, Sir David Wilkie and Sir Henry Raeburn. Settle down for a snack and a tea at the Scottish Café and Restaurant which features gorgeous views across the Princes Street Gardens. An ideal place to go for a slice of Scottish culture and art. The Scott Monument is located by Princes Street and a popular landmark in Edinburgh. Built with a distinctive gothic-style architecture, the Scott Monument was constructed in 1844 as a dedication to Scottish author Sir Walter Scott. It is the world’s biggest monument to a writer and reaches 61 metres high. The tower is adorned with 68 statues featuring a number of prominent Scottish writers, poets and people of interest including Mary Queen of Scots, Robert Burns and Lord Byron. Climb the steps to the top of the monument to find stunning views of the city and the adjacent Princes Street Gardens. Edinburgh’s Royal Botanic Garden was created in 1670 to aid in the scientific study of plants for medicinal purposes. Today, the garden is used for conservation and study, as well as being a popular tourist attraction. The current building was obtained in the early 19th century, including the Temperate Palm House which was built in 1858. The palm house is the tallest in Britain even today. Around 275,000 plants can be found in the garden today, spread across 70 acres of beautiful landscaped gardens. The diversity of the plants on show means that each new area of the garden is a wonder to explore. On-site is Inverleith House, an 18th century mansion that is now used as an art gallery. The gallery features a constant rotation of contemporary art with a focus on Scottish artists. Edinburgh’s Royal Botanic Garden is a delightful place to spend a sunny day amongst flowers, plants and culture. Greyfriars Kirk has been standing since 1620 in the heart of Edinburgh. It has been a popular place of worship for centuries and an important part of the city’s history. Book a tour to learn about the history of the church, including its importance for the Scottish Covenanters and its use as a barracks during the 17th century invasion of Scotland by Cromwell. Today, you can still attend a Sunday service, or visit the Kirk when a concert is on, as the church is also used as a venue for music and performance. With a diverse and ever-changing rota of events, be sure to catch some culture in this unique setting. Don’t forget to stop by the Greyfriars Museum and Shop to see an original copy of the National Covenant signed in 1638. The Scottish National Portrait Gallery is housed in an iconic gothic-style building in the centre of the city. Built in 1889 as the world’s very first purpose-built portrait gallery, the building features wide open galleries and small intimate spaces. The gallery holds an expansive collection of portraits showcasing Scottish history through its people. See portraits of Mary Queen of Scots, Robert Burns and more, and works by artists such as Sir Henry Raeburn, Allan Ramsay and William Brodie. With many temporary exhibits exploring important facets of Scottish culture, history and people, there is always something new on at the National Portrait Gallery. Finish your trip with a break in the café for delicious food, with gluten or dairy-free options, in a beautiful and inspiring setting. Gladstone’s Land is located in Edinburgh’s Old Town. It is a 17th-century tenement house, consisting of six storeys that tower above the street. The building has been well-preserved and restored to offer visitors an insight into life in Edinburgh during the 1600s. Explore the narrow staircases and historical rooms where people once lived and worked. Gladstone’s Land has been decorated with period pieces to showcase a number of different lifestyles: from the merchant, to the wealthy resident, to the cramped conditions of the poor. This is a fascinating and immersive slice of life in the Old Town, and an ideal way to learn more about Scottish culture. Be sure to check listings for the gallery, located on the second floor and frequently used by local artists to showcase their work in a gorgeous, eye-catching location. Located within Edinburgh Castle, the National War Museum explores Scotland’s history of war. The collections here showcase military artefacts and wartime materials, such as medals, uniforms, banners and posters. The museum examines Scotland’s place in war from the Highland-Lowland battles in the 17th and 18th centuries, all the way up to Scotland’s modern-day military presence. Learn about the experience of war from the perspective of Scottish soldiers and see how recruitment material has changed over the years. The museum also holds regular events and exciting temporary exhibitions to offer an in-depth insight into the experience and effects of war throughout history, all from a unique Scottish point of view. 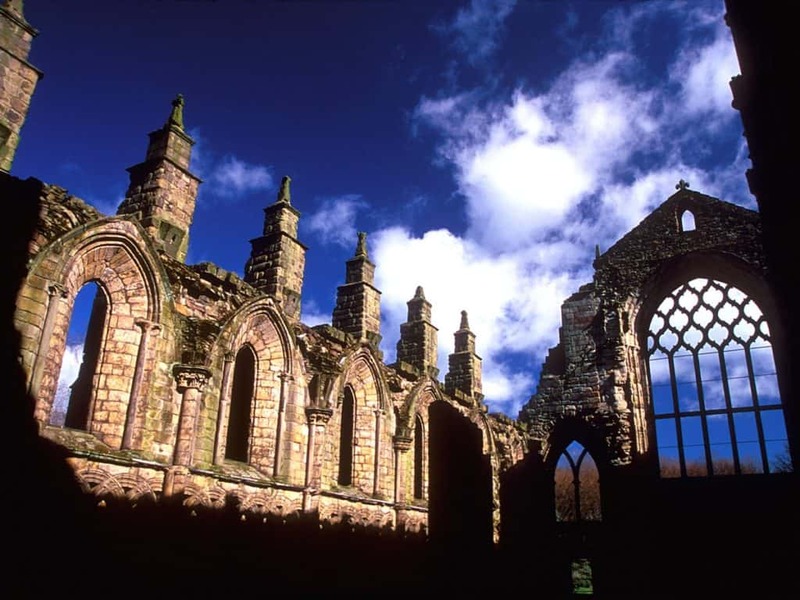 Holyrood Abbey is a ruined abbey built in 1128. The abbey was later used partially as a royal residence, and as a location for the Scottish Parliament from the 13th to the 15th centuries. The abbey has seen a large chunk of Scottish history, politics and culture, including the end of the First War of Scottish Independence, and the birth and coronation of kings. The remains still show beautiful and impressive original architecture which have inspired numerous painters and writers. Book a guided tour to learn about the history of the abbey and to catch stunning views of the nearby Arthur’s Seat. Craigmillar Castle is one of Scotland’s most beautiful and well-preserved castles, and a must-visit. The castle has existed since the 15th century and was inhabited by royals including Mary Queen of Scots. At the entrance to the castle, a pair of yew trees stand in the same place they have been for centuries, having once supplied wood for weapons. Explore the castle’s stunning stone architecture, grand halls and living chambers. Climb the castle tower for spectacular views across Edinburgh, as well as Queen Mary’s Room, where Mary Queen of Scots once lived. Craigmillar Castle is an ideal place to learn about Scottish history and culture, and to spend a day in gorgeous surroundings. Standing tall in the bustling city centre, the Georgian House is a slice of 18th century Edinburgh. Built in 1796, the Georgian House is a fine example of the fashionable buildings that made up Edinburgh’s New Town. The New Town was built to provide wealthier residents of the city with more comfortable living conditions than the Old Town could offer. The House has been decorated impeccably with period pieces to provide a glimpse into the life of its elite Edinburgh residents. On show are pieces of fine art, stunning silverware, and gorgeous furniture. Explore on your own or as part of a special costumed tour, where guides enact a typical day in the life of a noble family. The Museum of Childhood in Edinburgh was the first of its kind in the world, and continues to showcase toys and games from the 18th century to the modern day. The museum provides an interesting look into the way that childhood has been defined over the generations, and the differences in toy trends over time. This is a great attraction for both children and adults, exploring the history of ‘fun’ as well as provoking nostalgia in the grown-ups! Stop by the shop and pick up some toys or retro merchandise to take home with you. In the city centre, seek out the Heart of Midlothian for a uniquely Scottish piece of history. The Heart of Midlothian is set in the pavement on the Royal Mile, constructed from coloured granite blocks that form the shape of a heart and cross. This landmark records the position of the 15th century ‘heart’ of the town, the Old Tolbooth. This building no longer exists but was once used to run the city and also acted as prison and execution site. This formed the origin of a local custom involving spitting on the Heart. Originally this act was done to show contempt for the prison that once stood on this site; today it is believed to bring good luck. The Heart of Midlothian is easily-missed if you’re not paying attention – but the locals spitting as they pass by should give away its location! The Museum of Edinburgh is the single best location to learn about the history of Edinburgh through the ages. At the museum, you can learn about the city and its formation, as well as its people and trade. Witness the National Covenant, original city plans and lots of Edinburgh decorative art. The museum features a number of immersive exhibitions to educate visitors about the formation and progression of the city in an entertaining and engaging way. Don’t forget to visit the ‘hidden’ courtyard behind the museum which features centuries-old engravings and stonework. Experience some exotic wildlife in the 82-acre Edinburgh Zoo. With beautiful views of the city, Edinburgh Zoo makes a wonderful and entertaining day out for all the family. The zoo was the first in the world to house penguins, and is currently the only zoo in Britain with koalas and giant pandas. Watch adorable animals in their enclosures, or book a keeper experience to get up close and personal, and to learn what it’s like to be a zookeeper. There are daily talks on offer and a number of events each week including photography workshops, feeding shows, and film screenings. Edinburgh Zoo is ideal for animal-lovers and a slice of exotic nature in historic Edinburgh. Travel underground and experience the dark underbelly of the city in the Edinburgh Vaults. The vaults are a number of chambers formed from the arches of the South Bridge, built in 1788. Originally, the vaults were used by tradesmen and illegitimate figures. Over time, the vaults became more popular with the poor and the criminal and were excavated in the 1990s, providing a wealth of interesting archaeological and historical artefacts. Today, you can book a guided tour to explore and learn about the vaults. If you’re feeling brave, take a ghost tour instead! The vaults are rumoured to be haunted, having once been used by murderers and torturers. 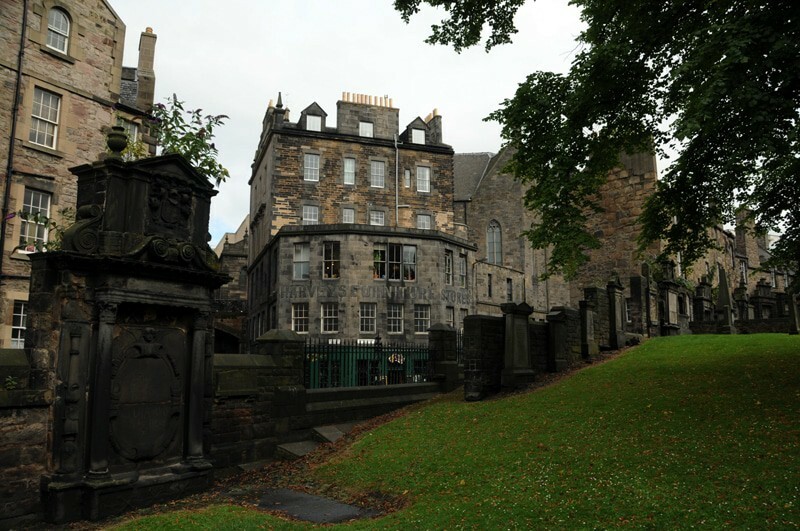 This is a fascinating – and spooky – look into a vital part of Edinburgh’s history. The National Monument of Scotland lies on Calton Hill, overlooking the city. The monument was designed to commemorate Scottish soldiers who fought in the Napoleonic Wars, but was never completed. The monument has stood since 1829 and is a popular tourist attraction. Locals have mixed feelings about the monument, as it remains unfinished. Nonetheless, the monument showcases stunning architecture and breath-taking views out across the city and surrounding landscape. Hike to the top of the hill for gorgeous vistas of Arthur’s Seat, Salisbury Crags and Holyrood Park. Usher Hall is Edinburgh’s premier concert venue and a must-visit for fans of entertainment and culture. The hall was built in 1914 and features beautiful architecture, including a curved exterior decorated with panels of famous figures such as Sir Walter Scott and Mozart. The hall has historically been used for a variety of events, including concerts, political events, and sporting events. Usher Hall is particularly popular for classical musical performances, and is praised across Europe for its high-quality acoustics. Visit Usher Hall to attend one of its many concerts, and take in some modern culture in historic surroundings. Dean Village is one of Edinburgh’s hidden treasures, located just outside of the city and besides the picturesque Water of Leith. Historically, Dean Village was a key player in Edinburgh’s milling industry, and you can still see signs of this heritage today. Explore the village to find millstones and stone advertisements for bakeries. Visit Well Court, a 19th century house that has been carefully restored to accurately represent its original appearance. Nearby is St Bernards Well, used in the past to draw water from the adjacent river. This water was believed to be very good for health and drew tourists from all over the country. The well also features beautiful architecture, including a statue of Greek goddess Hygeia. Finally, be sure to cross Dean Bridge, an impressive bridge that helps to connect the city to the village. Dean Village is a unique and well-preserved location, perfect for experiencing Scottish history first-hand.